Having spent 10 years in the Navy, I know that military life can provide some benefits that translate well into civilian life. Enforced discipline, often described as training, does create an environment in which you can learn how to perform tasks more efficiently and with greater success. The training isn’t always comfortable, but the feeling of success when the training is over is always amazing. That’s why I went through the Ten Workplace Lessons From the Military slideshow on Baseline with great interest. It actually does help you understand how someone who has had military training can provide significant benefit to an organization of any sort. From a personal perspective, I credit my military training with giving me drive and ambition required to write books and to also work through many of the issues in self-sufficiency that I have. The techniques that I learned in the service have translated well into creating an environment where I can work productively and ensure good results. The organizational and planning skills I gained in the service still serve me well today. I’m not saying that I succeed every time—far from it, but I have learned to keep trying until I find a way to succeed. My service was quite some time ago, so I can’t speak to the training that the military receives today with any authority. However, judging from the content of the slideshow, I’d say that the military still values the kinds of things that helped me become the sort of person I did after I left the service. Things like learning to see what is important in a list of to do items, and what isn’t, is part of the military way of doing things. You never have enough time to complete a to do list in the service—prioritizing is a must. The main reason I’m writing this post today is to support my fellow veterans. When you hire a vet, you’re getting someone with a broad range of experiences that you simply can’t get outside of the military. You get someone who had the drive to complete tasks under fire and will certainly have the same drive to complete tasks for your organization. Let me know your thoughts on the military method of management at John@JohnMuellerBooks.com. Readers have noted that I use the FindStr utility quite often. This utility is documented in both Windows Command-Line Administration Instant Reference and Administering Windows Server 2008 Server Core (and also appears a host of my other books). At the time I wrote that documentation, I had no idea of how much comment this particular utility would generate. I’ve written a number of posts about it, including Accessing Sample Database Data (Part 3), Understanding Line-, Token-, and String-Based Command Line Utilities, Using the FindStr Utility to Locate Errors in Visual Studio, and Regular Expressions with FindStr. It might be possible that people think that this utility is infallible, but it most certainly has limits. Of course, the FindStr utility is line-based and I’ve already documented that limitation. However, it has other limitations as well. The most important limitation you must consider is how FindStr works. This utility works with raw files. 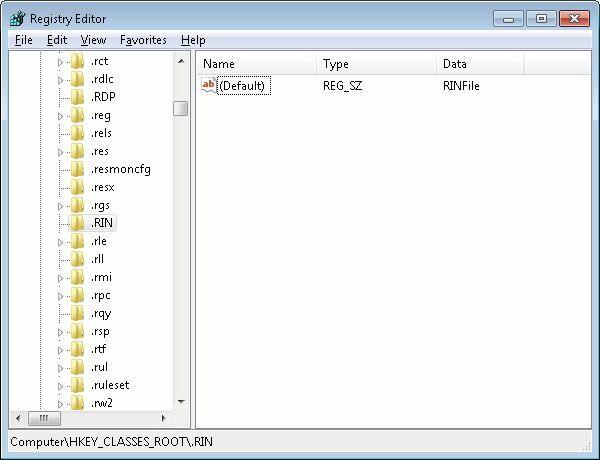 So, you can use it to look inside executable files and locate those produced by a specific organization as long as the file contains unencrypted data. When an executable relies on obfuscation or other techniques to render the content less viewable by competitors, the strings that you normally locate using FindStr might become mangled as well—making them invisible to the utility. In practice, this particular problem rarely happens, but you need to be aware that it does happen and very likely will happen when the executable file’s creator has something to hide (think virus). Another problem is that FindStr can’t look inside archives or other processed data. For example, you can’t look inside a .ZIP file and hope to locate that missing file. You might initially think that there is a way around this problem by using the functionality provided in Windows 7 and newer versions of Windows to look inside archive files and treat them as folders. However, this functionality only exists within Windows Explorer. You can’t open a command prompt inside an archive file and use FindStr with it. Recently, a reader had written me about his Office installation. Previously, he had used FindStr to locate specific files based on their content—sometimes using content that wasn’t searchable in other ways. This feature suddenly stopped working and the reader wondered why. It turns out that .DOC files are raw, while .DOCX files are archives. Change the extension of a .DOCX file to .ZIP and you’ll suddenly find that your ZIP file utilities work great with it. Old Office files work well with FindStr—new files only work if you save them in .DOC format. Another reader wrote to ask about network drives. It seems that the reader was having a problem locating files on a network drive unless the drive was mapped. This actually isn’t a limitation, but you do have to think about what you want to do. Let’s say you’re looking for a series of .DOC files on the C drive (with a shared name of Drive C) of a server named WinServer in the WinWord folder that contain the word Java in them. 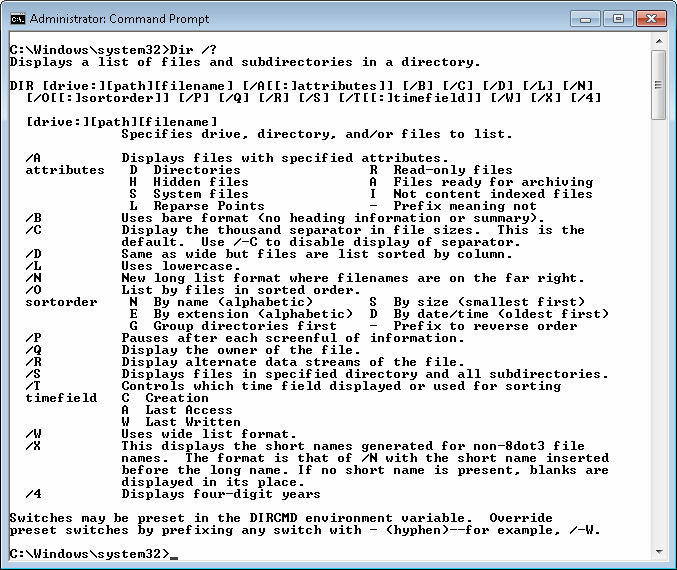 The command would look like this: FindStr /m /s “Java” “\\WinServer\Drive C\WinWord\*.doc”. When using network drives, you must include the server name, the share name, the path, and the file specification as part of the command. Otherwise, FindStr won’t work. What I have found though is that FindStr works best with Windows servers. If you try to use it with another server type, you might experience problems because FindStr won’t know how to navigate the directory structure. There is a real limit on the length of your search string. Another reader wrote with this immense search string and wondered why FindStr was complaining about it. The utility appears to have a search string length limit of 127 characters (found through experimentation and not documented—your experience may differ). The workaround is to find a shorter search string or to perform multiple searches (refining the search by creating a more detailed file specification). If you can’t use either workaround, then you need to write an application using something like VBScript to perform the task. These are the questions that readers have asked most about. Of course, I want to hear your question about limitations as well. If you encounter some strange FindStr behavior that affects my book’s content in some way, please be sure to write at John@JohnMuellerBooks.com. Someone could easily obtain access to confidential information. The data is inaccessible if my Internet connection is down. A cloud vendor can just as easily lose the data as I can. The vendor doesn’t have a vested interest in protecting my data. Just about anyone with the right connections could seize my data for just about any reason. As a consequence, I’ve continued to back by system up to DVDs and store some of these DVDs off-site. It’s an imperfect solution and I’ve often considered using the cloud as a potential secondary backup. However, when I saw the news today about Megaupload and the fact that the data people have stored there is safe for possibly two more weeks, I started reconsidering any use of cloud backup. Just look at what has happened. The federal government has seized data from the site and then shut it down, making the user’s data inaccessible to them. If someone who uses that service for backup is having a bad day with a downed system, it just got worse. Now their data has become inaccessible to them. There isn’t any means of recovering it until someone decides to make it accessible again. If the data does become accessible again, the users have two weeks in which to download everything and find another place to store it. Losing the personal mementos is bad enough, but to lose confidential information on top of that (think accounting data) makes the loss terrifying indeed. There is also that federal possession of everyone’s data for use in court no less. Now everyone will potentially know everything that people have stored on Megaupload—the good, the bad, and the ugly. Of course, everyone is talking about what this means, but personally, I go along with John Dvorak in thinking that this incident gives cloud storage the huge black that it rightfully deserves. These services promise much, but I can’t see how they can possibly deliver it all. Yes, there are advantages to using cloud backup, such as the benefits of off-site storage that is outside of your location so that if an extreme disaster strikes, you should theoretically have your data stored in a safe location. Of course, there is also the convenience factor, assuming that you have an Internet connection that’s fast enough to make such backup of an entire system practical. Cloud computing is going to remain a part of the computing environment from now on, but I think cloud backup has a lot further to go before anyone should trust it as a primary means of data storage. What are your thoughts about cloud backup? Let me know at John@JohnMuellerBooks.com. Microsoft is constantly changing the command line, which is why books such as Windows Command-Line Administration Instant Reference get outdated. 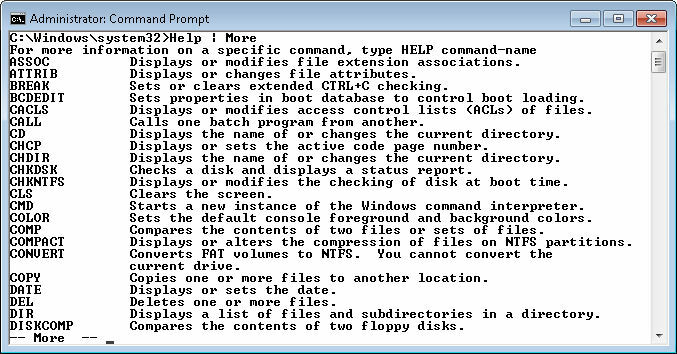 Every new version of Windows comes with new command line utilities. In most cases, these new utilities support new Windows features or allow some new level of maintenance or administration. 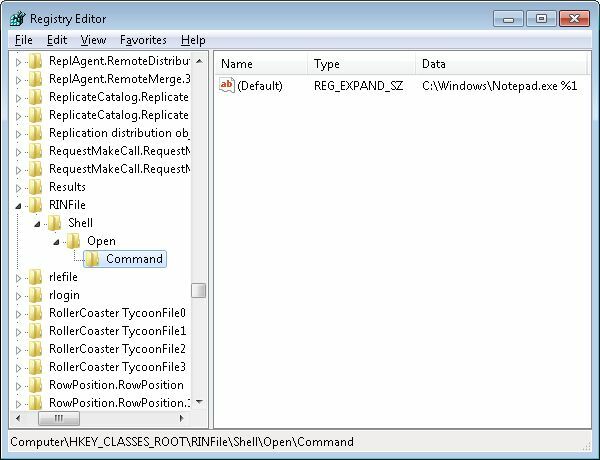 The RecImg utility creates an image of the Windows 8 installation, including installed applications, to the location you specify. The purpose of this image is to allow a refresh of the Windows installation should something happen to it. A refresh installs a new copy of Windows, but preserves the data and application setup. In many respects, this feature sounds like a simplified version of products such as Norton Ghost. You can read about this new refresh functionality in the Refresh and reset your PC post on the Building Windows 8 site. where Location is the directory you want to use for the Windows image. 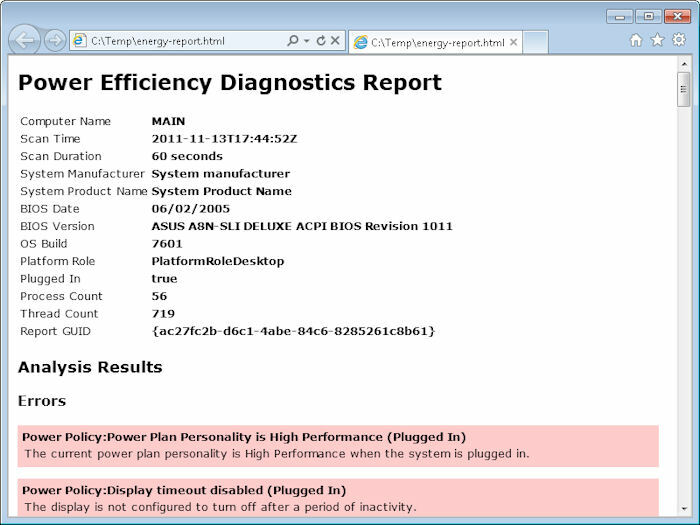 As with any Windows 8 feature, the current version of the utility has problems that you can read about on the Computer Performance site. I’m assuming at this point that the utility will include additional command line switches. Otherwise, Microsoft wouldn’t have included a specific -CreateImage command line switch. Of course, the presence of this new utility means that administrators can perform image updates from a batch file or as part of automated maintenance. I’ll keep you posted on this, and other, Windows 8 utilities as I have time to review and study them. In the meantime, let me know if you hear anything about interesting new Windows 8 utilities and utility changes. Also let me know if you hear about any utilities that Microsoft decides not to support. Often, you find out about these changes only after you’ve tried to use it in a batch file. What is your take on this new Windows 8 feature? Let me know at John@JohnMuellerBooks.com. Both Administering Windows Server 2008 Server Core and it’s more diminutive counterpart, Windows Command-Line Administration Instant Reference, are reference manuals that tell how to use the command line to perform specific tasks. The first book is more complete, in that it contains many uncommon commands and utilities. The second book is designed to provide more hands-on help by supplying a significant number of actual usage examples. In both cases, you get a significant amount of help about the commands. As long as you have one of these two books by your side, you’re in great shape for knowing how to use the commands at the command line. Unfortunately, the reality is that most of us don’t stuff a library full of books in our back pocket. Even with an e-Reader, such as the Kindle, you can be sure of having the device available every time you need it. So, how do you get at least some quick help when there aren’t any resources available? The first thing to remember is that you can get at least some useful information for any command or utility by using the /? or -? command line switches (some commands and utilities are peculiar in that they require either the /? or the -? command line switch, while many will allow you to use either). For example, when you want to discover how to use the Dir command, you type Dir /? and press Enter. Here’s typical output when using the /? command line switch. This help screen is also typical in showing what you get. Help normally includes a short description of the command, the command line syntax, and a short description of each of the command line switches. You may also see usage examples for more complex commands. In rare cases, the help screen will provide an URL for additional help. Some commands and utilities are complex enough that they require several help screens. For example, if you type WMIC /? and press Enter, you’ll see a list of help topics, not help of the sort provided for the Dir command. Let’s say you want to know more about the CPU topic. So, now you type WMIC CPU /? and press Enter. The help looks a little more normal now, but still isn’t very complete because you need to choose a subcommand. Perhaps you want just a list of CPUs on a system, so you request information about the List subcommand by typing WMIC CPU List /? and pressing Enter. Wow, now you see a number of listing formats. 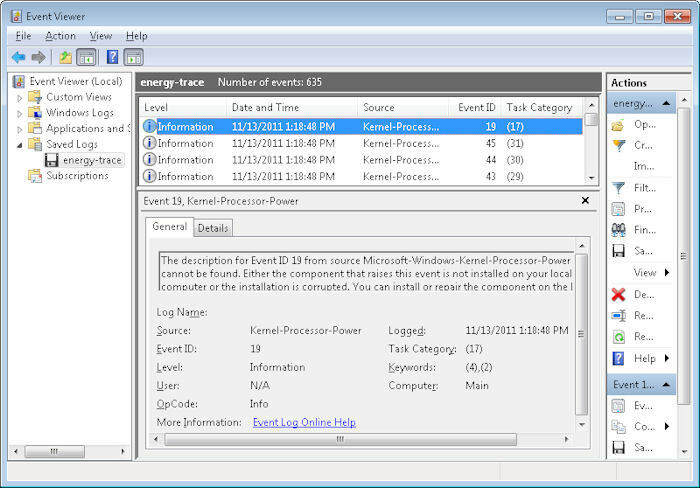 This time you add a listing format by typing WMIC CPU List Brief /? and pressing Enter. It turns out that you can also discover information about command line switches used with the Brief format. The final level in this case is to type WMIC CPU List Brief /Translate /? and press Enter. The WMIC utility is unique in providing so many levels of help, but other complex commands and utilities, such as Net, do provide multilevel help. Many people complain about not being able to remember all of the commands and utilities, and this is a problem. After you use a command or utility often enough, you tend to remember it, but the memorization process can take time. Unfortunately, there isn’t any single quick method of finding every command or utility on a system. However, you should start by typing Help | More and pressing Enter. (Using the More command lets you see the information that a utility has to provide one screen at a time, rather than seeing the information scroll right past.) You’ll get a list of common commands like this one. Not all of the commands appear on this list and none of the utilities do. Another way to obtain the information you need is to type Dir *.COM and press Enter in the \Windows\system32 directory. (You can type CD \Windows\System32 and press Enter to get to the appropriate directory.) Every directory entry you see is very likely a utility. 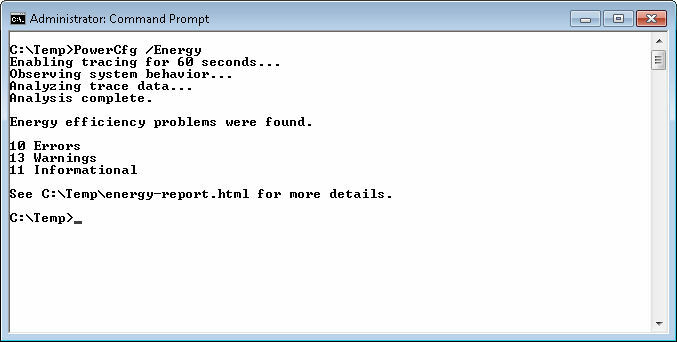 However, many utilities are in .EXE form, so you also need to type Dir *.EXE | More and press Enter. You can eliminate files that contain more than eight letters in the filename from the list in most cases because command line utilities usually rely on the old 8.3 naming convention. Check filenames that look like they could be what you want by typing Filename /? and pressing Enter (where Filename is the name of the file you want to test). Useful command line utilities will generally display a help screen. Now that you have a better idea of how to get command line help when you need it and where to obtain a list of useful commands and utilities, you should take some time to try it out for yourself. What techniques do you use to obtain the additional information you need at the command line? Let me know at John@JohnMuellerBooks.com. Batch files are still an important part of your system, especially if you find that you need to perform certain configuration tasks every day. Both Administering Windows Server 2008 Server Core and Windows Command-Line Administration Instant Reference discuss batch files, but this post is about a practical example of a batch file in daily use. My system has a daily batch file. It runs every morning when I start the system up. (To save electricity, I do turn off my system every night and find that things also run better because I do.) The main reason for using a daily batch file is to configure my system so I don’t end up performing the same repetitive tasks every day. I tell the computer what to do and it performs the required configuration for me. After I get my cup of coffee, my system is ready to go—fully configured for my use. Choose Start > All Programs. You see a list of entries including Startup. Right click Startup and choose Open from the context menu. (Unless you want everyone to use the same automatic batch file, you don’t want to choose Open All Users.) You see a copy of Windows Explorer open for the Startup folder. Right click anywhere in the right Windows Explorer pane and choose New > Text Document from the context menu. Windows will create a new text document named New Text Document.txt—however, only the New Text Document part of the filename is highlighted. Highlight the entire filename and type Daily Tasks.bat. Make absolutely certain that you also overwrite the .txt part of the filename—Daily Tasks.bat.txt won’t do anything for you. Press Enter. You see a Rename dialog box that asks whether you’re sure that you want to change the extension of the file. Click Yes. Windows renames the file. <font<> <font<>The Start command starts Firefox in this case. It passes the URL you provide to Firefox as a command line parameter. Obviously, the application must support command line parameters for this technique to work. More applications than you might think do support command line parameters (many undocumented), so a little research can provide a lot in automation. Using this command the user won’t even be aware of the delay. The @ symbol makes the Choice command invisible. The /C command line switch provides the available choices (which consists solely of N in this case). The /N command line switch hides the list of choices from view. You create the actual timeout value using the /T command line switch, which is set for 15 seconds in this example. However, the /D command line switch actuates the delay by automatically choosing N after the 15 seconds. In short, this entire command line is a wait statement. If you want your batch to run more or less invisibly, make sure you start it with an @Echo Off command. Otherwise, every command appears in the window. It’s helpful to check for errors when you first put the batch file together and when you make changes. Adding an @Pause at the end of the batch file keeps the command window visible so you can check for errors. After you finish the batch file, you can execute it as you would any other batch file. The only difference in this situation is that this batch file executes automatically each day because it resides in the Startup folder. When you need to make changes to this file you can choose Start > All Programs > Startup, then right click Daily Tasks.bat, and choose Edit from the context menu. The file will open in Notepad for you. This is one of the more interesting and useful ways to employ batch files. What are your favorite batch processing techniques? Let me know at John@JohnMuellerBooks.com.